Junction, according to the dictionary means ‘a point where two or more things are joined’. This time, Team ChicLifeByte is about to tell you about a restaurant which joins multiple outlets under one roof. 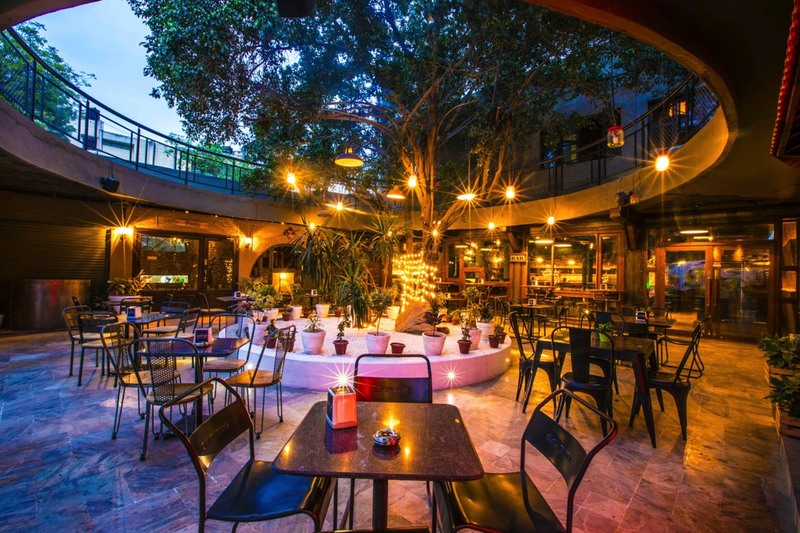 Yes, “The Junction” launched at Hauz Khas, Delhi by Umang Tewari of Big Fish Ventures brings together 7 outlets in one (Pizzeria, Sushi Place, The Big Baker, The Bar, The Dining Room and many more outlets) and is laid out at 20000 sq. ft. 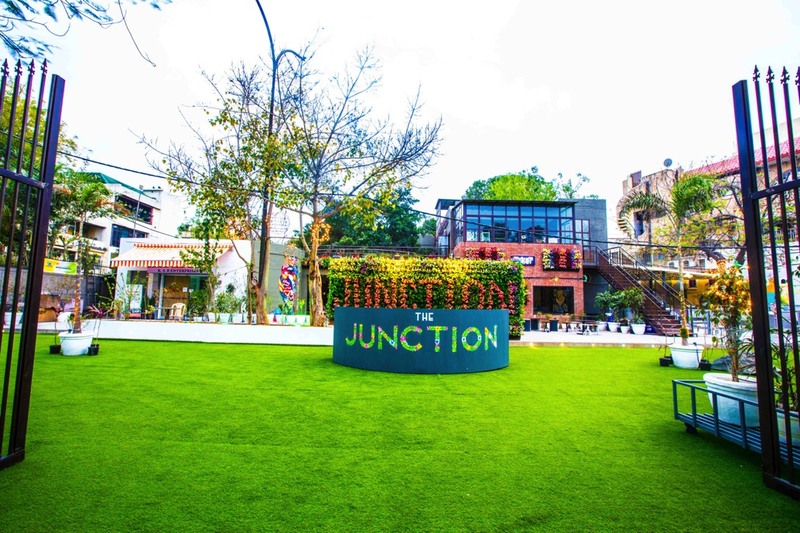 The Junction boasts of a variety of cuisines so that it becomes a one-stop eatery presenting something for each and everyone. It is a place which will leave you awestruck with their charm, be it in terms of their hospitality, classy ambiance or food. 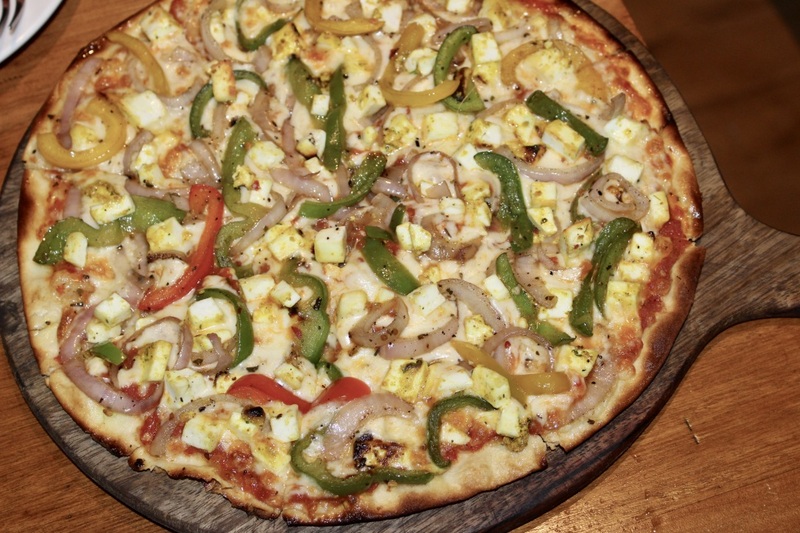 We started with Paneer Tikka Pizza which had a generous paneer topping mixed with trio bell pepper & onions on mozzarella. It was a hit combination on the thin crust base which was appetizing. 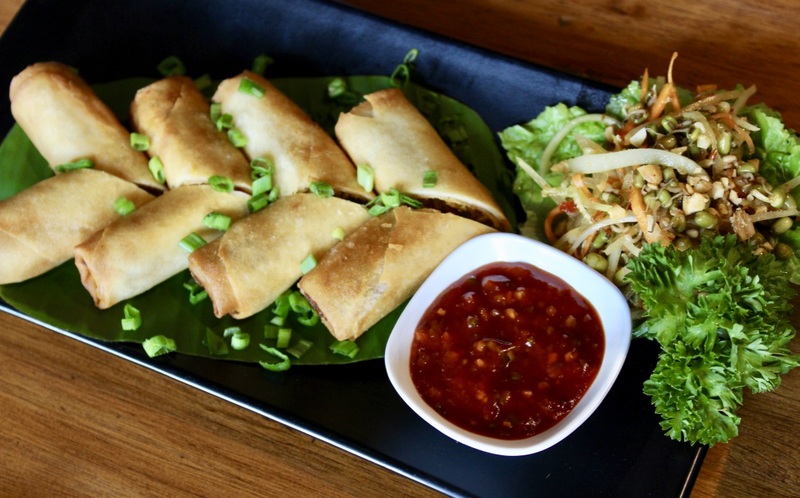 The Thai Spring Rolls from the appetizer section had a great stuffing of assorted juliennes with a crispy texture which were relished well. 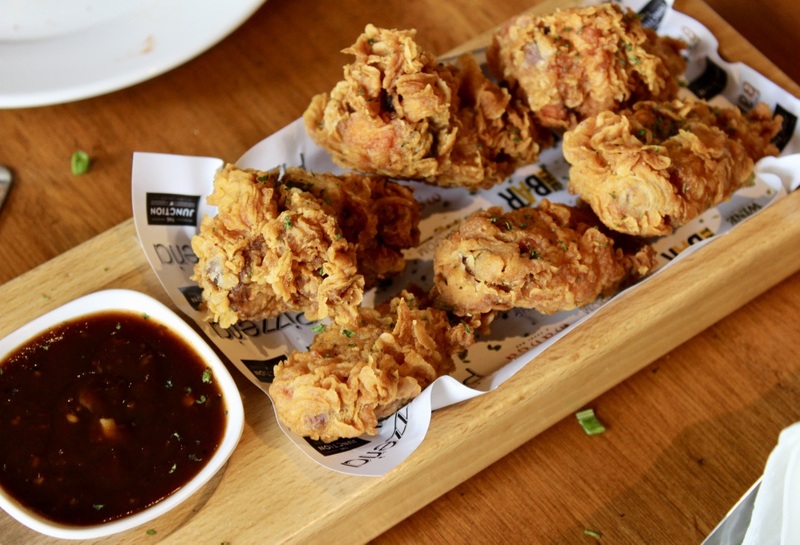 The Country Fried Chicken Wings were marinated well with homemade spices served with assorted dips & a salad. 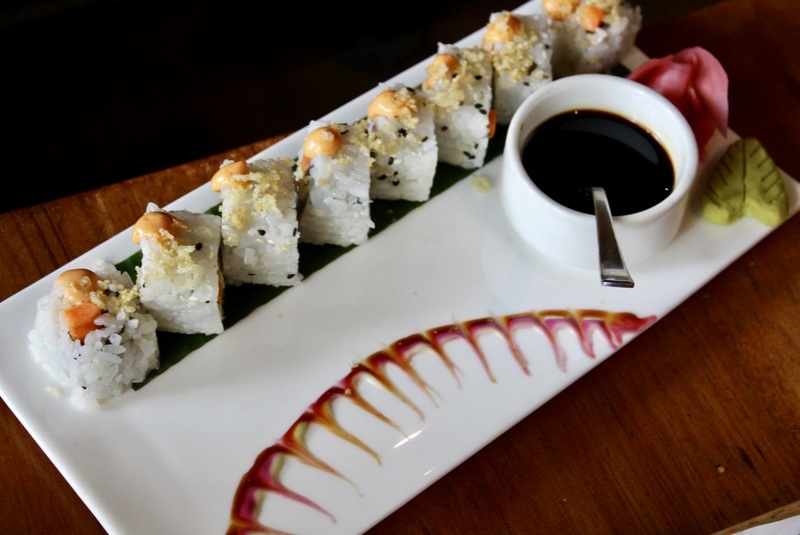 The crisp and small pieces made it convenient to eat giving us a great taste. 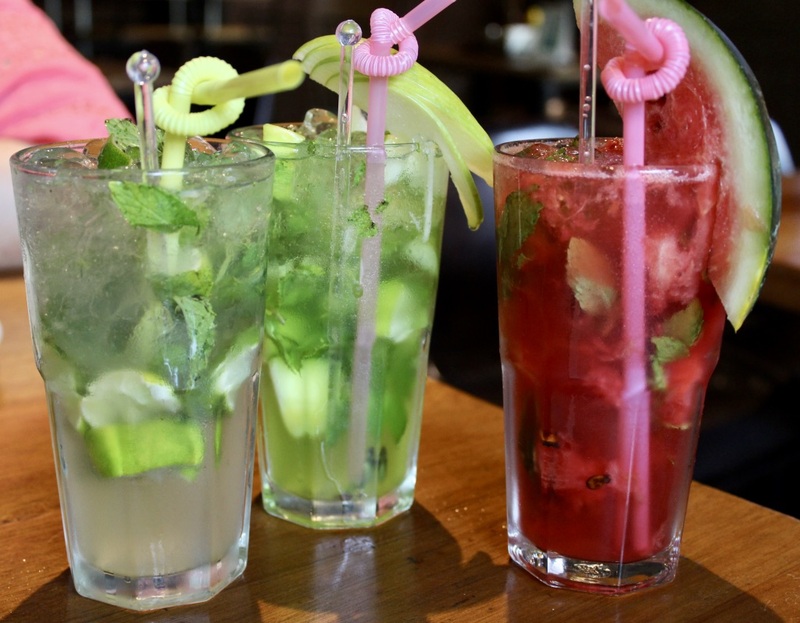 Watermelon Mojito had chunks of watermelon in the refreshing nectar which was great while Green Apple Mojito had chunks of green apple with ice which was a visual delight and had an awesome taste as well. Virgin Mojito was in its classy best avatar topped with mint leaves and lemon. 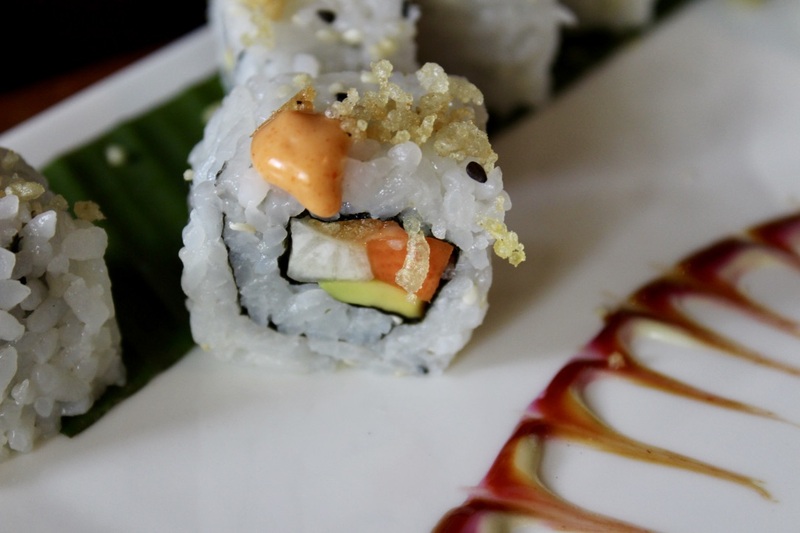 Coming to Sushi, we tried Veggie Maki which had avocado, pickled radish, pickled carrot and tempura flakes. The healthy recipe definitely deserves a thumbs up! 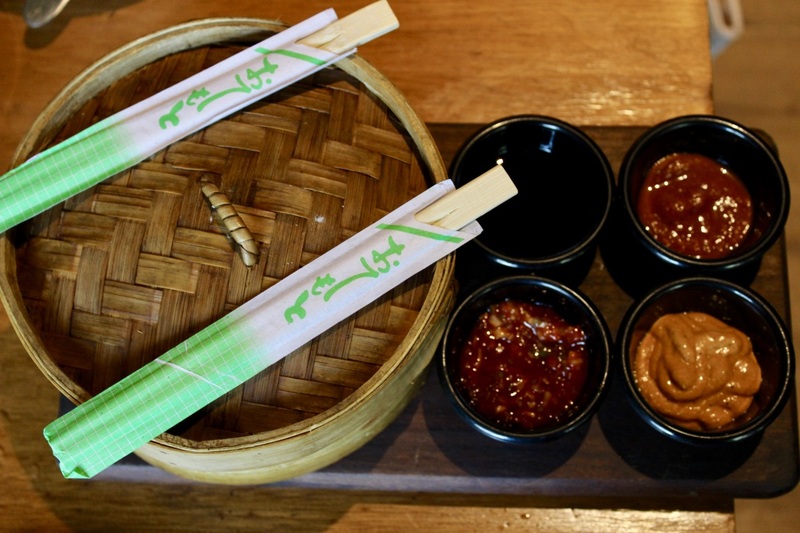 From the Dimsum section, we chose Ginger Chicken Crystal which was served with smoked bell pepper, homemade salsa, ginger soya as well as tomato chilli. 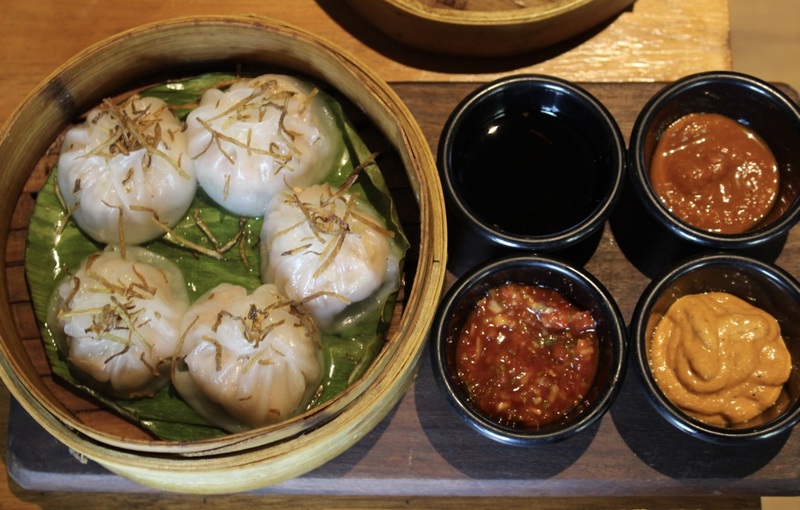 The well stuffed dimsums were yummy & the dips made it even more delectable. 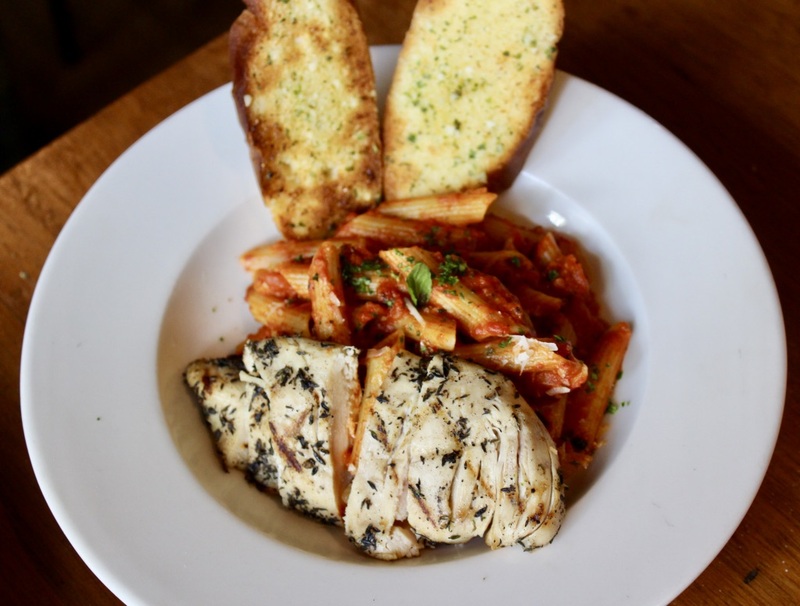 Peri Peri Sauce Chicken Penne Pasta had great flavours owing to the spicy tomato sauce, chicken as well as spices. 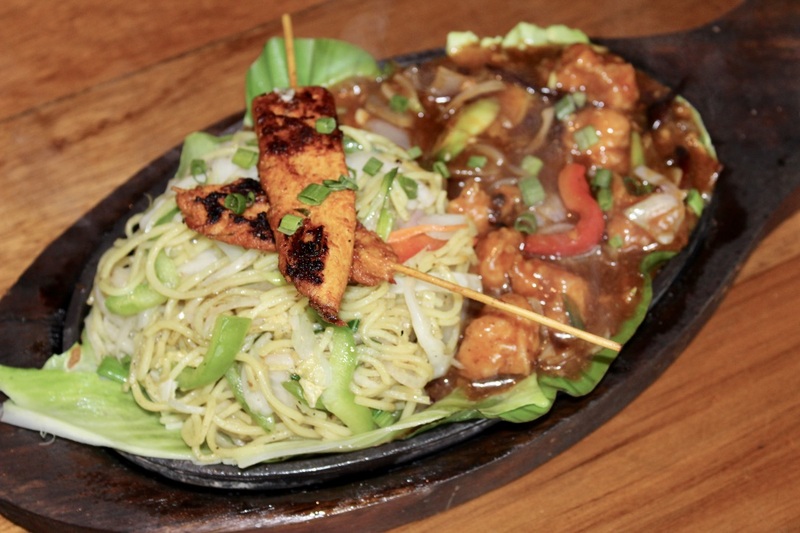 Another dish which attracted us in the menu was Pan Asian Sizzler in which we chose chicken as the topping with Hakka Noodles as the base along with Szechuan sauce. The sizzling dish was heavenly and an absolute delight! We also tried Dal Makhani served with a choice of Indian bread or steamed rice along with a side salad & pickle from their Mains. 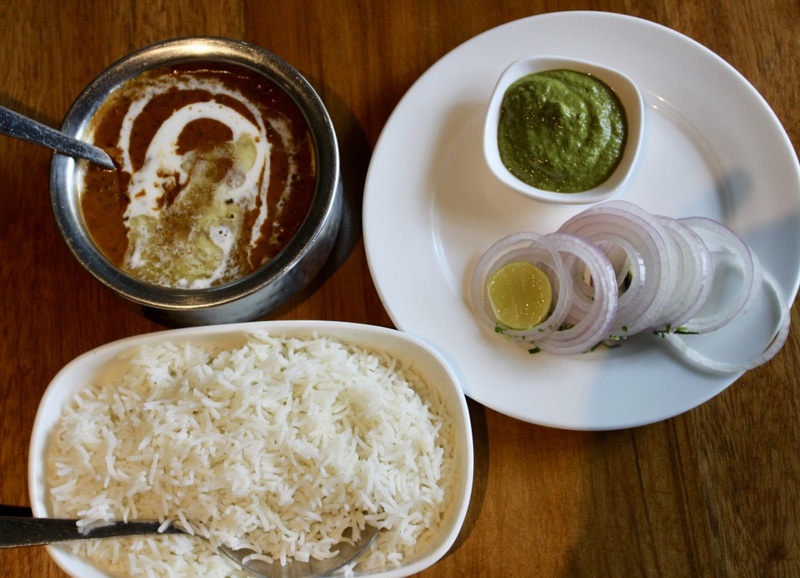 The Dal Makhani was definitely the best dish we tasted here- Rich consistency, aromatic & flavourful! 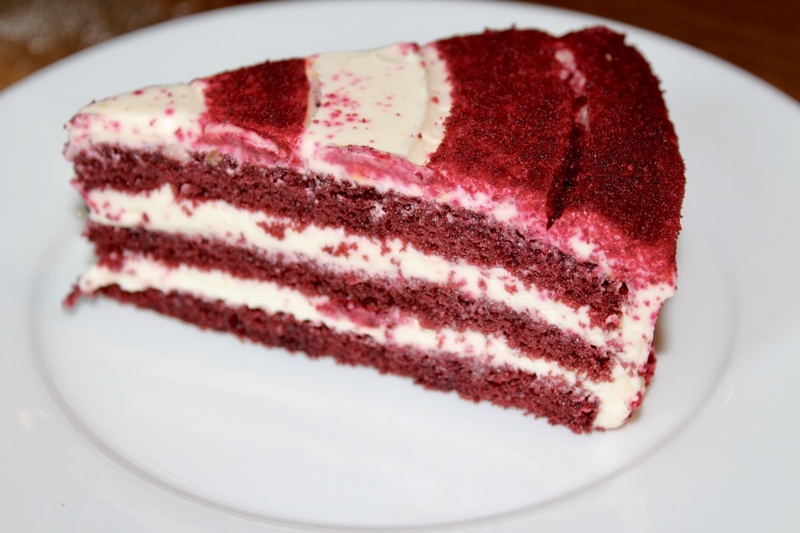 Coming to desserts, we tried the Red Velvet Pastry which was soft, nice & fresh. 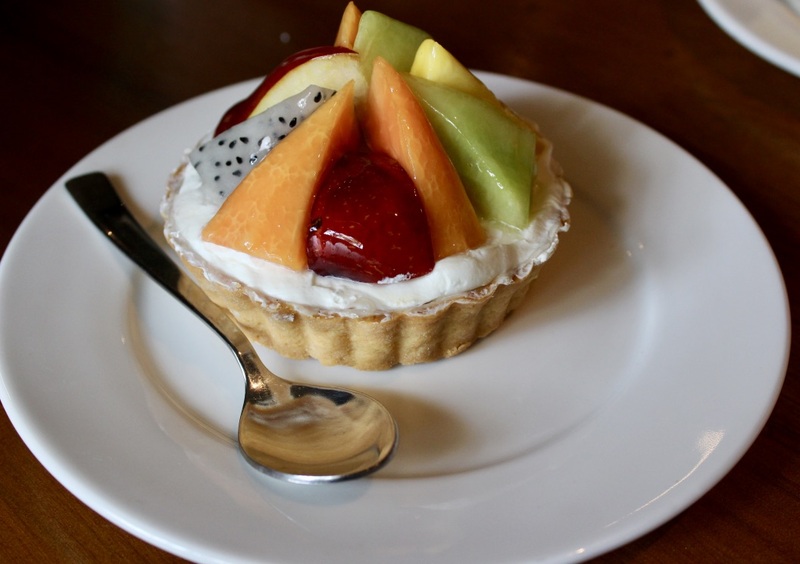 The Fresh Fruit Tart was fruity, creamy and absolutely yum! A crisp base with a creamy layer topped with cut fruits – papaya, melon, mango and apple was marvelous! You have to try this one for sure, it’s so delicious! 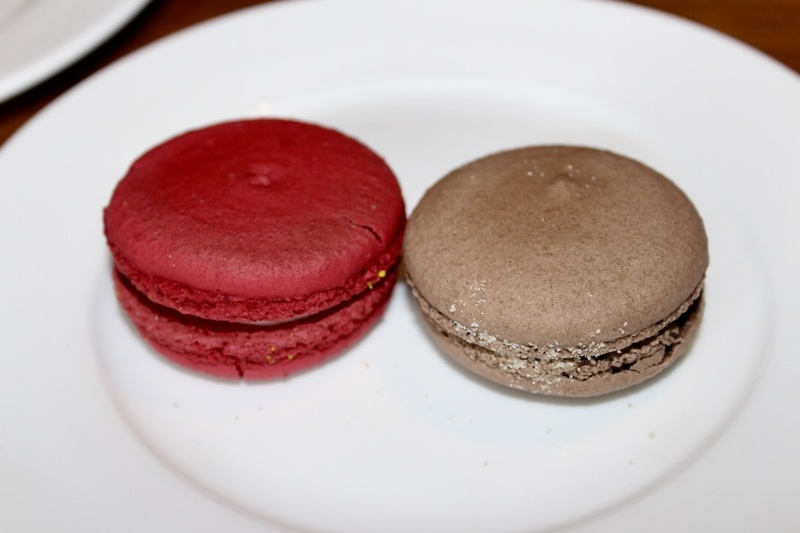 Coming to Macarons, the colourful, small & round desserts were pleasurable as we took the first bite! The beautiful natural landscape of the place made us fall in love with it. Hardly do you get to see such greenery in South Delhi and this place comes as refresher! Afterall, Umang has always introduced something innovative and great! The man is known for restaurants like The Vault, OMG! and Junkyard Café. You can have a delightful time sipping innovative mocktails too. It’s known as a place that houses more flowers in the restaurant than the cutlery in its kitchen with lots of open space.